As fans, I know we all feel this way. Some people just don’t get it. That is okay though. Enough do and we celebrate together. My non-baseball friends are forever puzzled by my devotion to the game. I agree entirely with them about the irrationality of fandom. Why should a grown man with a house, a family, two jobs and a cat named Will Feral … care about a bunch of millionaire 20-something strangers playing a boys’ game in baggy uniforms? It’s ridiculous. Yet when the hometown Washington Nationals win, my mood brightens. Can’t help it. 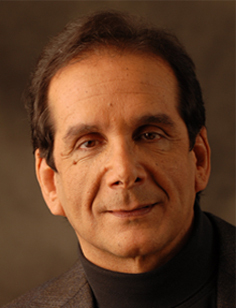 Charles Krauthammer (1950-2018) writing in the Washington Post on April 21, 2016.